In a large soup pot, cook onion and garlic in olive oil over medium heat until soft. Mix in kale until wilted, add 1 carton of chicken broth, diced tomatoes & Italian seasoning. In food processor mix can of navy beans and 1 carton of chicken both till smooth. Mix into pot, bring to a boil, then cover, reduce heat, and simmer for @ least 2hrs the longer the better. Add any starch you would like in the final stages of simmering such as potatoes, or brown rice. Cook until the potatoes or rice are completely softened. Knowing how to incorporate kale into our diet may seem like a challenge for some of us. I am going to share a delicious and easy recipe that will make Kale be you and your family’s new favorite vegetable! You won’t believe how fast they will be gobbled up so you may want to plan on making 2 batches! I like to sprinkle oregano onto my Kale Chips before I bake them. While they are in the oven, my kitchen smells like an Italian Restaurant or Pizzeria, without the guilt! 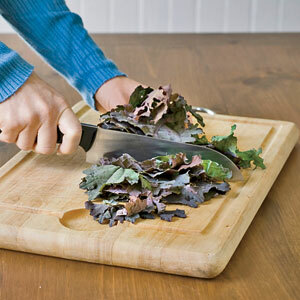 Click HERE for the Kale Chips Recipe and more health information on Kale.